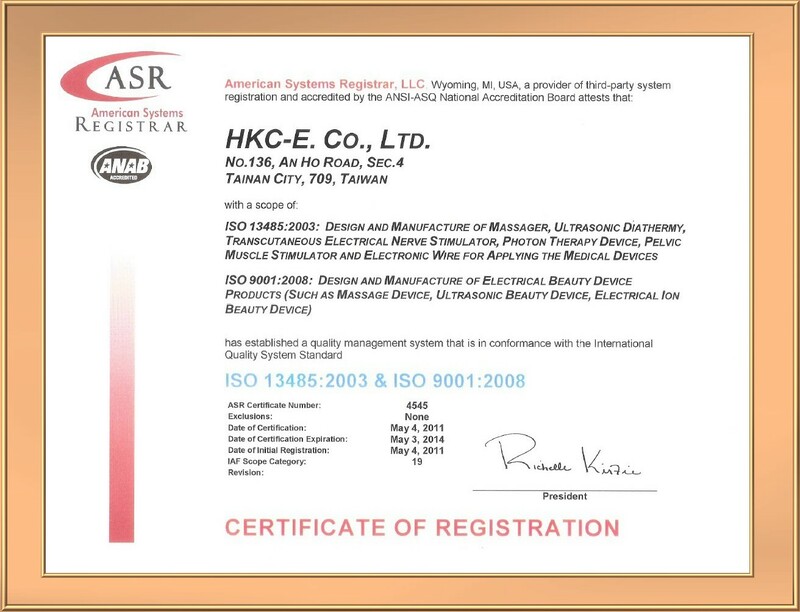 Welcome to the website of HKC-E CO., LTD.
HKC-E CO., LTD. was established in 1999. At the beginning, we specialized in designing and assembling electricity wire and connectors for medical uses, like urine probe, TANS wire, etc. In year 2002, we get involved into the field of beauty devices. We develop all devices on our own, including designing the PCB (Printed circuit board) and appearance. Moreover, we got our ISO 9001 in year 2009 and ISO 13485 in year 2011. If you just have an initial idea of the product that you need, you can contact us and we will help you make your dream come true.